Subterranean Press are regularly putting out anthologies by some very well known authors, and with great artwork to match. 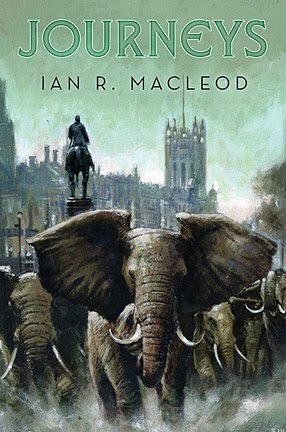 The scene on the cover of Ian R MacLeod’s anthology ‘Journeys’ is wonderfully evocative of the tales that take place in a world, or worlds, subtly different to our own. They are places that seem very much like the world we live in, but where history, or physics, or the powers of the elements are just not the same.